Kidsapia is proud to announce a new set of partnerships we’re creating with organizations and business throughout the Greater Toronto Area. It’s our way of connecting with the wider community and helping kids live active and healthy lives. 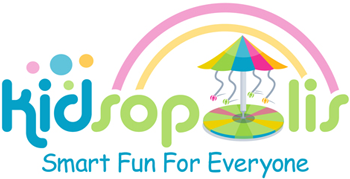 Kidsopolis strives to be the best Indoor Playground and Family Entertainment Centre in Oakville, Ontario. Kidsopolis includes a YuKids Play System as well, along with Atomic Play Equipment and Eye Click Interactive Game, and of course, the Lazer Mazers Vault Challenge. The combination of technologically advanced interactive floor projected games area and a custom designed, Canadian-made three storey play structure will capture and excite the imagination of kids for many hours. It’s where kids learn to play, and parents learn to play again. Erin Mills Town Centre is at the corner of Erin Mills Parkway and Eglington Avenue West in Mississauga. There are over 220 stores and services in the mall, featuring apparel, footwear, health and beauty, large department stores, electronic and computers, home furnishings and financial services. There is also a large food court and free Wifi throughout the mall. Explore a new way to work in Canada’s first mall located coworking space to make it easy for you to: Live. Work and Play! We’re more than just an office space! We are a community of passionate business leaders from all sectors who want to innovate, connect and grow personally and professionally. Our state of the art facility is designed to inspire you to work hard, connect with like-minded professionals and have fun! Connecting Dots exists to connect the gap between the community and the families that live with disabilities. We take a unique and compassionate approach to educate others on the importance of community outreach and understanding those around you. Our main mission is to demonstrate to our surrounding communities and families that living with any sort of disability is simply part of the individual, not their entire being. Through personalized and focused goal setting processes, our clients develop the tools they need to integrate in the community.